The over 400 years´ old Castle dominates the landscape and is a sight that can be seen for miles around. The picturesque Sigharting Castle today utilizes its stylish amenities as a retreat and conference center year-around. The Castle welcomes all types of gatherings and promotes the fine arts in the studios of the local arts club. The Castle offers ideal amenities for a variety of occasions, ranging from lectures and seminars over meetings to concerts, exhibitions, workshops, banquets, weddings, and more. The Local Heritage Museum on premises and the unique courtyard with colonnades draw much appreciative comment from visitors. Can be visited all through the year - please call in advance. 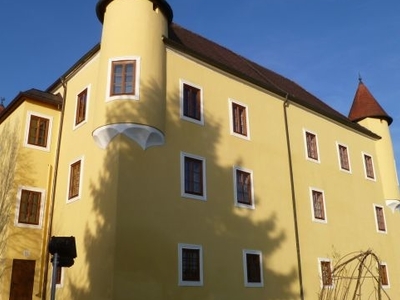 Here's the our members favorite photos of "Castles in Vöcklabruck". Upload your photo of Sigharting Castle!